Being a teenager is difficult – and so is raising one. For parents, it can be especially hard to understand why their teens sometimes act in ways that seems blatantly out of character – even turning to drugs and alcohol. We explore this phenomenon in this post. The struggle is real. Peer pressure is a major motivating factor for teens to use drugs. Insecurity is a force to be reckoned with, and it can drive young people to participate in dangerous activities. After all, the last thing anyone wants is to be looked at as weak or inexperienced. This doesn’t always mean that the teen isn’t curious about the drug they’re being pressured to try. In many cases, they are – which is why the ploy works. It provides them with social cover for an activity that seems out of character for them. Once they’ve gone down this road, that activity begins to become normalised. Each subsequent use is easier. Teenagers can sense adulthood looming, and part of growing up is learning how to assert that. Unfortunately, experimenting with substances is one way that they accomplish this. Drinking alcohol and doing drugs are considered ‘adult behaviours’, and this makes them more attractive for teenagers exploring what it means to feel grown up. Of course, the problem with this is that they aren’t nearly as mature as they want to be (or believe they are). This is why it’s so important for the adult role models in their lives to encourage productive, grown-up activity while keeping an eye out for reckless behaviour. Speaking of adult role models, teens who grow up with parents who abuse alcohol and drugs are much more likely to do so themselves. Living with substance abuse and its effects on a daily basis makes it seem normal. Furthermore, if Mum or Dad are using on site, odds are good that the older kids know where the substances and paraphernalia are stashed. With greater access and obvious in-house examples to model themselves after, they’re much more likely to venture down this path. 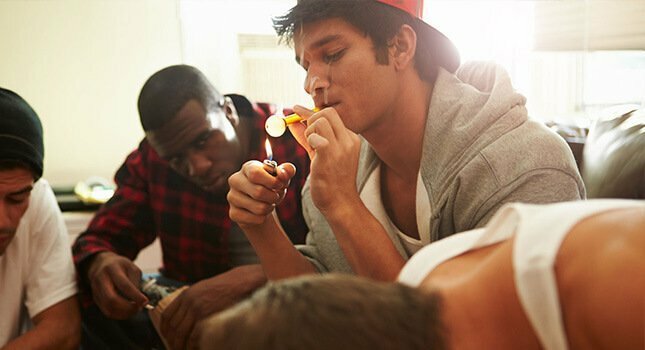 Teenagers just want to have fun, and let’s face it – drinking and getting high with friends can be a temptation too strong to pass up. The problem, of course, is how unprepared young people are to manage these powerful substances. A good, old-fashioned teenage party can easily escalate out of control, resulting in injury or property damage. It can also quickly devolve into a critical overdose situation that requires immediate, life-or-death medical attention. Teenagers need to push the boundaries to develop an understanding of where and how they fit in to society. Rebelling against parents and other authority figures is part of this. As unattractive as it sounds, some teens consider using drugs simply because they know they’re not supposed to. It makes them feel like they’re in charge of their own lives, and this can be extremely gratifying for a young person. There are shelves’ worth of parenting books covering how to deal with a rebellious teenager. While there’s certainly no cure-all for this situation, it’s still important to remember that rebelling is a natural part of growing up. Being aware of this makes you better prepared to deal with it when problems arise. A steep learning curve separates adolescents from adults. In one sense, making it through the teenage years is all about mastering that curve and learning as much as you can, as quickly as you can. However, a general lack of knowledge means teens aren’t always prepared to process the inherent risk of drug and alcohol use. This makes it all the more important that parents and educators are candid with teens when explaining these risks. This may include talking to them about your personal experiences, or those of friends or loved ones of yours who have suffered because of substance abuse. Teens figure out that getting drunk or high makes them feel braver or more comfortable. They may even self-medicate to alleviate anxiety in social situations and other scenarios. This becomes a routine practice – a crutch that helps them get by in day-to-day interactions. On a long enough timeline, that crutch turns into an addiction. It’s important that young people learn how to manage their own fears and anxieties in a healthy, productive way. This begins with candid, judgement-free communication at home. Above, we’ve explored reasons that a young person might choose to experiment with drugs or alcohol even when they’re aware of the risks. However, once an addiction develops, the motivation becomes much simpler. At this stage, teens abuse drugs and alcohol because their addicted brain compels them to. It’s not about peer pressure, angst or lack of knowledge. It’s because they’re addicted. An addicted teenager needs more than guidance, advice or room to carve out their place in the world. At this stage, they need help – and The Edge is here to provide it. 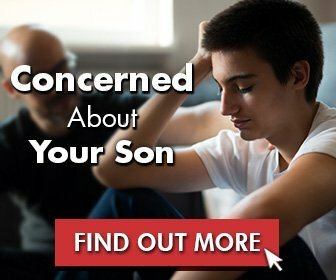 Contact Us If Your Teenage Son Is Using Drugs. The Edge operates an inpatient drug and alcohol addiction programme in Northern Thailand. We administer a holistic treatment specifically designed for young men. It includes elements of cognitive behavioural therapy, group and one-on-one counselling, and physical activity – retraining the brain to find and cherish satisfaction in activities that aren’t detrimental to their mental health. If you fear your son has been experimenting with drugs and alcohol, it’s important to intervene early. His health and future wellbeing are at stake. And if the signs of addiction have started to show, there’s no time to lose. Contact us today to learn more about our addiction treatment programme. Addiction Makes it Harder for the Brain to Anticipate Rewards Is Your Son’s Boredom Causing Problems at Home This Holiday Season? Is My Intelligent Teen at Greater Risk of Taking Drugs? Research Says: Yes. Could Your Son’s Top School be Placing Him at Higher Risker of Addiction?